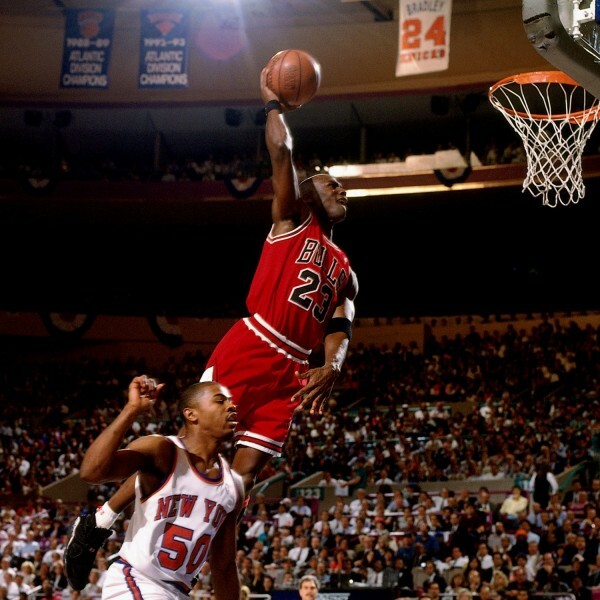 Michael Jordan, the fan labelled GOAT. Six Championships in eight years, in order Jordan and the Bulls sent home; Magic and the Lakers, Clyde and the Blazers, Barkley and the Suns, Payton and the SuperSonics, Malone and the Jazz x2, and last but not least the Monstars. There are infinite ‘what if’s’ with Jordan, the big one being what happens if Jordan doesn’t leave to try his hand at baseball over the 94 and 95 seasons. However he’s here at number one on our list regardless. Jordan won five MVP awards, he also finished in the top three of voting on five other occasions. 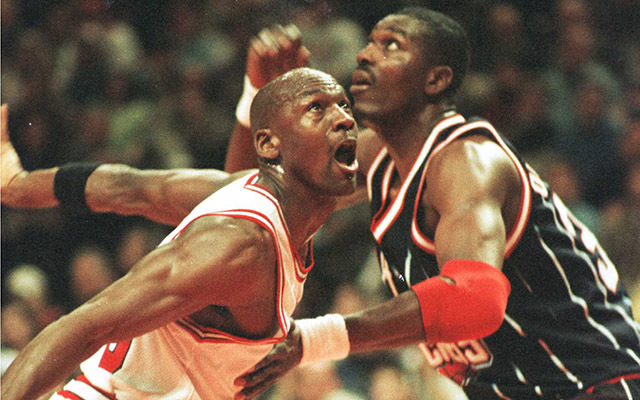 Jordan sits 42nd all time in assists, 3rd all time in steals, and 4th all time in points. Highest regular season and post-season scoring averages. Never lost a playoff series with home court advantage. Scores 63 points in a single playoff game, which is still the playoff record. However, the bulls still left with a loss that night, Bird and the Celtics were ultimately too much. The Flag Bearer: 12 tied, (1). The Barn Burner: Justin Termine (4). How did the other guys rank Jordan: Justin Rowan (2). @JoshEberley Flu game, Last shot in the 98 Finals, saving the Looney Tunes in Space Jam, 95-96 NBA season 72-10 Bulls team WOW. @JoshEberley #HCHot50 when he beat Cleveland in the playoffs. Jump shot at end of the game. And, the look. Memorable.